Industry players, such as Microsoft, have arrived in Hong Kong this week for Qualcomm’s 4G/5G Summit, an annual event to strategize and discuss trends and technology developments. 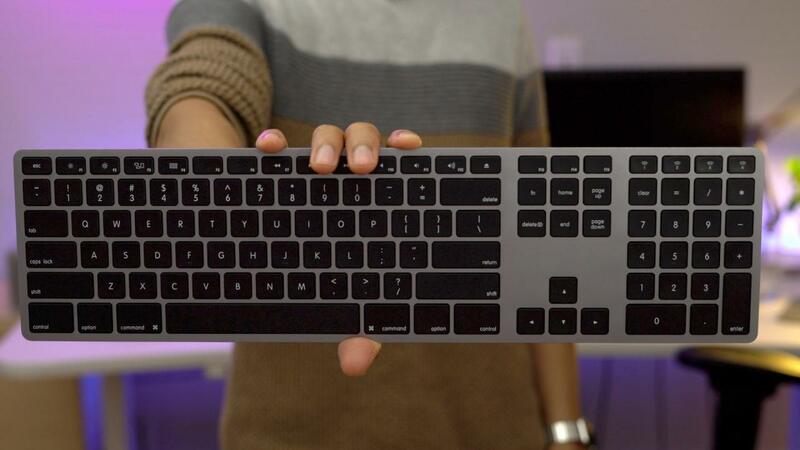 The best wireless keyboard for the Mac? In my opinion, there’s no doubt that Apple has been working on MacBooks powered by A-Series silicon. The company has already begun testing the waters, so to speak, by driving the MacBook Pro Touch Bar using an independent ARM processor. But producing a MacBook powered by a chip like Apple’s A11 Bionic would be a whole different story. That A11 has already shown via benchmarks to be more than capable of both single and multi-threaded operations, and Apple has only improved its efficiency when it comes to battery life. Now imagine for a second Apple’s A11, a chip that handily beats several recently-released full-sized laptops, powering a MacBook. Not only would the device have the potential to produce ridiculously long battery life as mentioned by Bernard, but it would also have a lot more juice at its disposal to avoid throttling when necessary. With Microsoft’s first real foray into ARM-powered laptops (for its lack of usability, the Surface RT doesn’t count), it may very well force Apple’s hand, at least in the area of public opinion, to come up with a machine with similar battery life. As improved as Intel’s low-power silicon has become over the last few years, it’s still a far cry from the power to efficiency ratio presented by ARM CPUs. For example, my iPhone 8 runs absolute circles around my 2017 MacBook. Granted, the MacBook features a larger screen with higher resolution, but it also features a much larger battery. It’s not a complete apples to apples comparison, but it’s close enough. On that same note, as well as a Snapdragon-powered Microsoft laptop may perform, it’s still a far cry from the type of performance that Apple is getting from its own custom fabrication. If it ever does decide to test the waters, Apple will release ARM-powered Macs on its own time-table, and won’t be dictated by the activities of its competitors. Yet, Microsoft is said to be currently testing hundreds of Snapdragon-powered Windows 10 devices. One would imagine that Apple has to be looking at the prototype MacBooks within the confines of its Infinite Loop walls, and is, at the very least, taking the idea more seriously as of late.